One of the criticisms aimed at the fashion business industry is the issue of mass disposal. While large-scale production keeps costs down, a business model that sells low-priced products to consumers generates massive amounts of unsold items, which ultimately become mountains of garbage. As investment in the sustainable development goals (SDGs) and environment, society and governance (ESG) expands, the fashion business industry is also rushing to shift toward a sustainable business model. Domestically-produced textiles machines that enable sustainable production and cyclical solutions developed in Japan are now expanding to the rest of the world. 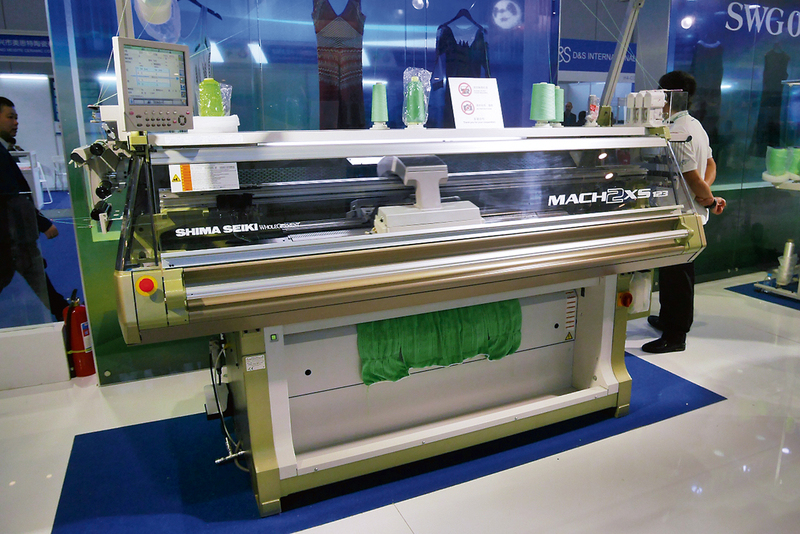 Shima Seiki has established itself as one of the world’s leading manufacturers of flat knitting machines, including its range of WHOLEGARMENT machines for seamless and weft knitting. The company is now placing facilitating sustainability at the forefront of its activities. It has developed a business model that combines WHOLEGARMENT machines with the design system SDS-ONE APEX 3 (APEX 3), and also launched the Digital Yarn Project that uses virtual samples of threads. With these initiatives, Shima Seiki is aiming at realising timely manufacturing that doesn’t generate waste or samples. Nowadays, apparel companies are criticized for mass producing clothes that eventually result in massive disposal. Meanwhile in the knit industry, which is grappling with issues such as the escalating cost of animal hair materials, Shima Seiki is gaining attention for the merits of its WHOLEGARMENT machines that enable efficient production and its efforts to reduce actual product samples by creating virtual samples using APEX3. Using virtual samples for advance orders and only making items that are actually ordered are other ways of achieving wasteless manufacturing. The Digital Yarn Project is instrumental in building a supply chain for manufacturing that combines WHOLEGARMENT machines and APEX 3. Spinning and thread trading companies around the world are taking part in this project, which is creating a virtual sample book of threads. Companies that manufacture threads upload data on their own threads onto APEX 3 using scans and other methods; this enables various threads to be registered online. Customers are expected to also use this data, and they can even use APEX 3 to check samples of knitted items created using virtual threads. APEX 3 can create an image of the product even without the actual thread, and this image can be used in product planning. “Many apparel makers are also using APEX 3, but so far it has mostly been for creating internal documents and so forth. By getting companies that actual deal in thread to use APEX 3, we can make products using simulated samples created by both sides.” The company is aiming to get manufacturers of fasteners and other subsidiary materials to also join thread makers in using APEX 3 in this supply chain. One of the key features of APEX 3 is it can even be used to draw up knitting designs when creating design samples. These designs can then be used in the actual production process, so the manufacturer even knows how much thread will be needed. Shima Seiki is also planning to link APEX 3 to the inventory management system of thread makers. “This will enable manufacturers to also run simulations on which designs they can quickly produce, and so on.” The system can be used to create virtual samples of products as well as the threads used in them; manufacturers can even know the result of intertwining threads and get an image of how the final product will look after knitting the threads together – and all of this can be done online. Meanwhile overseas, it is mostly major specialty store retailers of private label apparel (SPA) that are actively creating these kinds of virtual samples. Not only does it shorten lead times, but the virtual samples eliminate the need to create samples using electronic commerce (EC), take pictures of them, and then upload the pictures. Creating this kind of wasteless supply chain makes it possible to practice just-in-time inventory management, which may also make bargain sales no longer necessary and subsequently help maximise profits. Moreover, samples can be created at a low cost, and this lowers the hurdle of entering the product business and non-apparel fields. Manufacturing that supports sustainability may also open up a path to new business opportunities. Japan Environment PLANing (JEPLAN) has been focusing on recycling textiles and plastics, and its production of recycled polyester is attracting attention worldwide. 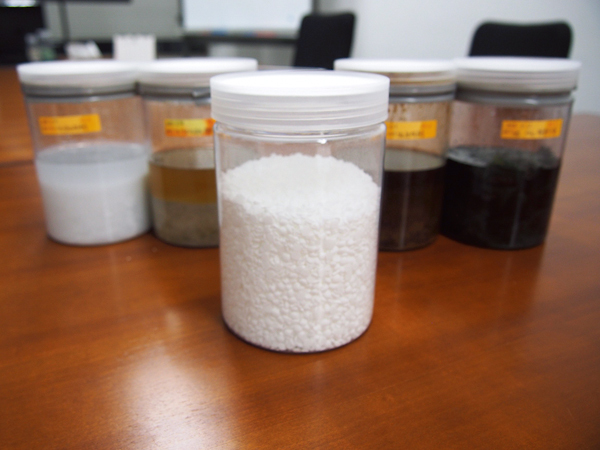 In December 2018, it fully opened a test plant for recycling polyester materials from old clothes; these materials will be supplied to Global SPA and sports apparel makers. In 2018 the trading companies TOYOSHIMA & Co., Ltd., Mitsubishi Corporation Fashion Co., Ltd. and ITOCHU Corporation successively invested capital in JEPLAN. The company has been introducing its initiatives at various exhibitions and events, while cultivating demand and setting up a supply system. At the test plant located in Hibikinada in Kitakyushu, collected used clothes are broken down into polyester fibres, and then refined and recycled into pallets. The plant can produce up to 2,000 tons annually of recycled polyester, which it sells as threads and cloth. Using technology to depolymerise the polyester, JEPALN is able to recycle the polyester from old clothes to the same quality as petroleum-derived polyester. Clothing is made from various materials and dyes, so the company adjusts the temperature during the refining process and uses other clever ways to cleanly remove impurities. In the future, the company is planning to present information on the requirements for recycle-friendly dyes and other materials to plants that are interested in producing sustainable products; it hopes this will also encourage the manufacture of recyclable clothing. JEPLAN is distinctive for not only its technological development and production activities, but also for the methods it uses to collect old clothes. The BRING Project is its key initiative for collecting second-hand clothing over the counter at stores, which it then uses for recycling. There are currently 40 companies participating in the Project, including major apparel makers and retail stores; the company also launched its own brand, BRING this autumn. The first wave of the BRING Project involves t-shirts. Consumers are asked to send in (by payment on arrival) one t-shirt they no longer need for every BRING t-shirt they purchase. This old-for-new exchange system is a way to sell a new t-shirt while collecting an old one at the same time. The BRING t-shirts are designed by fashion designers that resonate with the concept, and each t-shirt is priced at 5,800 yen. JEPLAN collected 100 investors at a pre-sale crowd-funding site, and in addition to its own e-commerce site, the company is also selling the t-shirts at exhibitions and events; this is another way the company is marketing the BRING Project. JEPLAN is planning to boost its production capacity to 23,000 tons annually by 2020. Last year, it acquired a plant by M&A that recycles polyester materials from PET bottles. The plant is located in Kawasaki city in Kanagawa prefecture, which is right next door to Tokyo. Eventually, the company hopes to hold exhibitions at the plant that show the processes of making products from recycled polyester threads, and even use it as a community space for customers and consumers. In last October, it installed one WHOLEGARMENT machine for seamless and weft knitting at the plant. In last November, JEPLAN announced it has started a joint field study with the French textile cluster Techtera for building a rayon and polyester recycling plant and commercialising the recycling of clothes. This Japan-France project is expanding the company’s textile recycling circle to overseas as well.